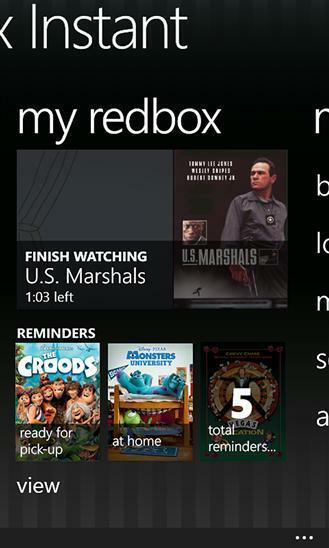 Redbox Instant has brought its streaming goodness to the Windows Phone platform, but to enjoy it you will need to be using a Lumia device for the first two months. 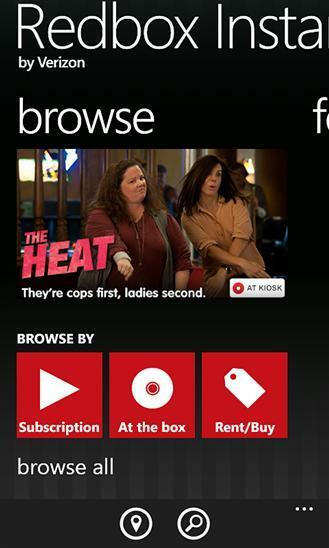 The mobile version of Redbox Instant has finally come to Windows Phone devices, but there is a brief exclusivity window for those of you using Lumia devices. Anyone who is using a different Windows Phone device will have to wait until late January for the app to roll out to general availability. Redbox Instant runs you $8 a month and not only gives you the ability to stream movies and television shows, but it also allows you to rent up to four DVDs per month, or you can change those to Blu-Ray discs for an extra fee. NEW YORK, NY, Nov 22, 2013 (Marketwired via COMTEX) — Mobile entertainment means more movie entertainment with today’s introduction of the Redbox Instant by Verizon Windows Phone 8 app launching initially on Nokia Lumia smartphones and later to all Windows Phone 8 devices. 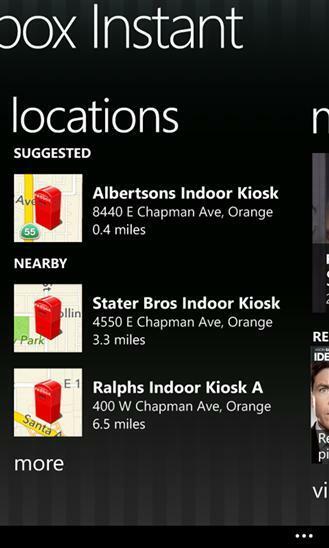 Whether it’s to stream from a catalog of thousands of movies right to their mobile device, to search for and reserve the newest releases at any of the 43,000 Redbox kiosks nationwide, or to rent or purchase movies digitally from the online store, Windows Phone 8 users now have access to a great destination to make any time movie time. 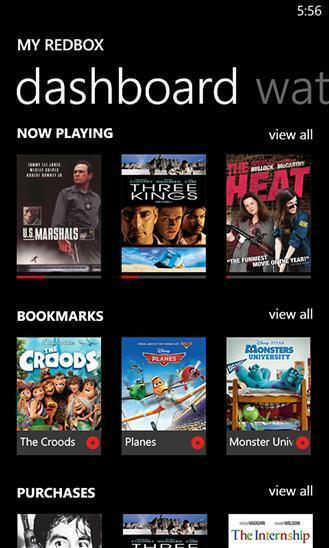 The Redbox Instant by Verizon app on the Windows Phone 8 platform provides clean, uncluttered app screens that operate quickly, minimizes typing and surfaces new information automatically. 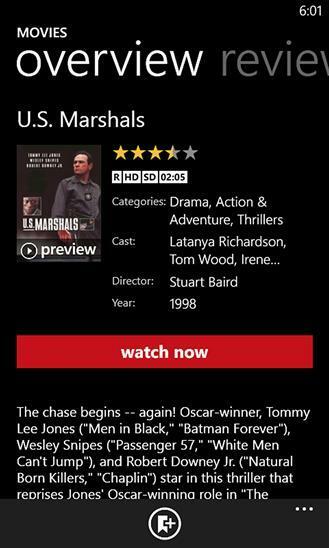 For quick access to all areas of the service, the new app supports unique features like Live Tiles, a panoramic app design easily navigable through swiping, and pivot control that provides a quick way to manage movie searches by availability type. 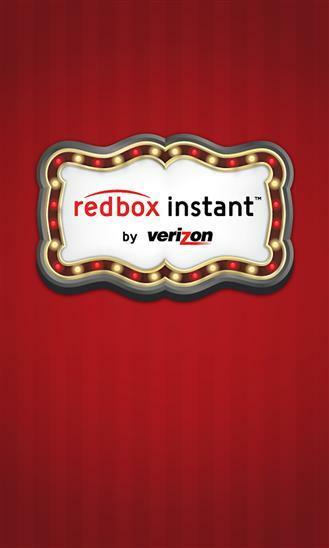 Redbox Instant by Verizon is a great service for everyone who loves movies. For only $8 a month, a Redbox Instant by Verizon subscription plan includes four rental nights to enjoy the newest releases available on DVD at any Redbox kiosk nationwide, plus the ability to stream thousands of popular movies instantly. A Blu-ray package is also available for an extra dollar. That means, if you missed a movie while it was in theaters, you can head to the kiosk and grab a disc to enjoy the movie before it’s available on other subscription services. 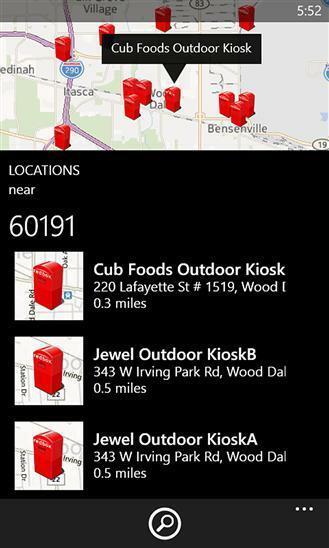 For the first 60 days of the app’s availability, Nokia Lumia Windows Phone 8 users can visit the Windows Phone Store’s Nokia Collection and download the Redbox Instant by Verizon app directly to their mobile device. Following the introductory period, all Windows Phone 8 users will then have access to the app in the Windows Phone Store. For those new to the service, Redbox Instant by Verizon offers a free month of movies with a subscription that includes unlimited streaming of its collection of hit movies and four DVD rental nights. For more information, visit www.redboxinstant.com.